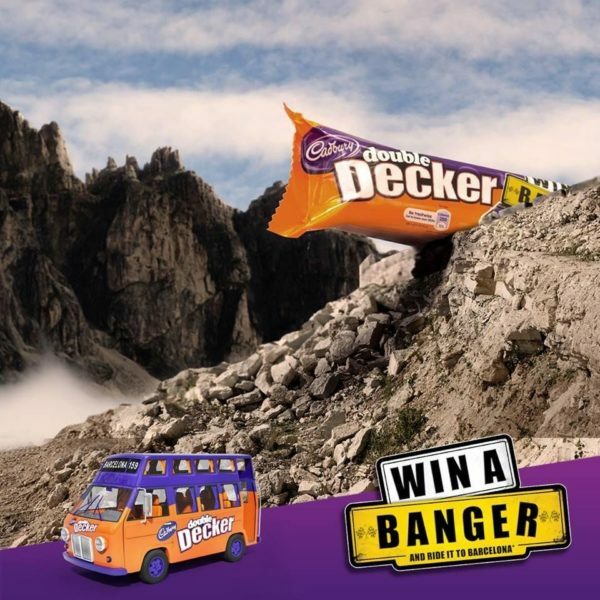 'Win a Banger' with Cadbury! Help Cadbury to send one of their competition winners on a truly unique rally across Europe in a customised Cadbury banger! We assisted Cadbury with the logistical support they needed to turn their prize idea into a reality. We sourced and customised a ‘banger’ in the style of the competition winner’s favourite Cadbury chocolate bar, and also provided a fully-staffed support car, as well as on-site event management throughout the rally, which covered seven European countries in four days. From the technical details of insurance, to the challenges of making sure that the car would be roadworthy with a huge horn attached to the top of it, we used our expertise in bespoke promotions to provide essential support from start to finish. Looking for the team to help turn your unique prize ideas into reality? Drop us a line or give us a call on +44 (0)20 8871 9959 and we’ll get started!